Who Is Responsible For Cloud Data Protection? No matter how much one may argue about who is solely responsible for cloud data protection, experts from all across the globe are unanimous on the resolution that the ultimate responsibility of data compliance lies with the organization who owns the sensitive information, not the service provider. What Is Cloud Data Protection? Looking at the big picture, cloud data protection (CDP) is all about infrastructure security, storage management, and data integrity. Since it provides optimal data storage, protection, and network security, businesses around the globe are trusting it to be more safe, secure and stable than ever. It protects the cloud and prevents the leakage or theft of sensitive information from the cloud. Since the ultimate objective of CDP is to protect static and moving data in the cloud and ensure various services and processes, it is critically important for you and your cloud provider to ensure its optimal functioning at all levels. Data integrity: Data remains the same as it is stored as strong encryption layers protect the sensitive data from illegal editing or corruption. This indicates that your sensitive data is secured against all threats or illegal access. Storage Management: The cloud infrastructure needs to ensure the safety and security of data and provide a continuously available interface as desired or required. Primarily, it depends on the capacity of your cloud service provider in how agile or response they are in managing the account. However, you also need to make sure that the data is maintained properly. Infrastructure security: These are collective efforts, processes, measures, and policies that ensure cloud infrastructure and network security. However, most businesses that are usually of small-scale do not pay much heed to cloud data protection protocols and that’s where most problems related to safety and security of sensitive data commence arising. Why Are Most Businesses Misguided? It’s human tendency to shift responsibilities or critical tasks entirely onto someone else’s shoulders. Most of us do not want to take complete ownership of complicated things which have intense and severe repercussions (if not executed properly). Then, there are those people who are misguided about their responsibilities and completely rely on others. Having said that, no matter how much money you can afford to spend on acquiring the services of any pro cloud provider, you have to make efforts to secure your data yourself and not solely rely on your service provider. Although people have different perspectives about data safety and security and whether or not to trust the cloud completely, cloud data protection is inevitably the most critical aspect of the cloud. Without which, you can never expect to secure your sensitive data at all. 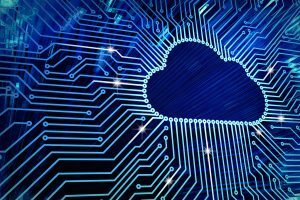 According to a study, 80% of businesses wrongly believe that data protection and management is solely the responsibility of their cloud service provider. This indicates that cloud service providers are responsible for providing certain layers of security protocols or encryption. However, the information-protection or safety and security of sensitive information actually lies in the hands of businesses. The study further revealed that businesses prefer to transfer their responsibilities of data protection, data privacy or data compliance to third-party cloud vendors or service providers so that they focus more on the core side of business and less on its security, storage or management affairs. Moreover, the total spending on cloud technologies is predicted to increase at a massive 20% from 2018 to 2020 which bears testimony to the fact that most businesses are intending to transfer their cloud data protection related responsibilities to cloud service providers. The reason why businesses prefer to embrace an easy approach to protect their sensitive pieces of data is that they lack in-house skills, knowledge, experience, and expertise in handling cloud data protection optimally. However, you need to make sure that the cloud service provider you are acquiring for utilization has relevant skills and provides 24/7 assistance in managing cloud-related discrepancies effectively. https://www.completecontroller.com/wp-content/uploads/cclogo_main-long-300x63.png 0 0 Complete Controller https://www.completecontroller.com/wp-content/uploads/cclogo_main-long-300x63.png Complete Controller2019-03-27 10:23:442019-03-28 10:24:06Who Is Responsible For Cloud Data Protection?